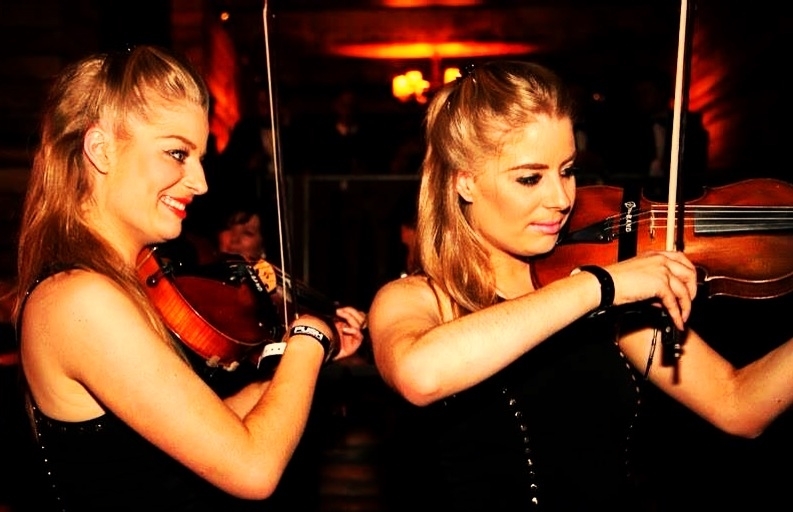 The Stereo Twins are an acoustic and electric violin duo, performing popular classics to specially produced backing tracks. As top graduates from The Royal Academy of Music in London, the girls have enjoyed great success as a live act on an international scale. They have also performed with established artists including Adele, Beyoncé, Celine Dion, Rod Stewart, Emeli Sande, Westlife, Ronnie Wood, Labrinth, Il Divo, Leona Lewis and Kanye West, to name but a few. Their high-energy performance shows off their incredible musicianship as well as their skill and flair as performers. Together, both Natalie and Stephanie have gained success as session musicians; recording, performing and touring with some of the world’s biggest artists. They are also regularly called upon to appear on national television and have had the privilege of playing at events such as the Elle Style Awards and the BBC Music Awards, playing with DJ Calvin Harris and Ellie Goulding.